Getting into a debt cycle can be very damaging, and can be caused by everything from irresponsible borrowing to external problems with financial organisations. Under these circumstances, borrowers find it difficult to clear old debts as new loans are taken out to keep them afloat. It’s worth, then, looking in more detail at what a debt cycle means, what the main causes and mistakes are that lead to them, and how you can try to get help to get back into responsible borrowing habits. In short, debt cycles are caused by a continual pattern of borrowing and re-borrowing, and struggles to live within your means; while some debt cycles can be caused by ongoing emergencies and the need to cover unexpected payments, others can be created by an unwillingness to stop and try to pay off an old debt, rather than taking the option of adding on more loans to try to break even. When you become entangled in a debt cycle, it can become very hard to save money and create the financial stability that’s needed to cover interest payments and charges on older loans. Small direct debit payments and opportunities to clear off the minimum monthly repayment on credit card accounts will only make a minimal dent in a large amount of debt. However, for many people, it’s easier to avoid paying off debts in full before they become significant, instead relying on small payments over time that don’t solve problems with borrowing. Debt cycles can be caused by having to borrow a large amount of money to pay for an emergency, and by struggles to support a lifestyle that can no longer be made possible through regular income. As debt levels increase, people can end up taking drastic measures to extend their credit; this might include remortgaging their home in order to release cash to try to lower their debts, or accepting very high interest rates to receive credit. One form of borrowing that can both ease and create risk for debt cycles involves taking out payday loans as short term payments with high interest charges. People often take out payday loans to cover emergencies, in which context they can represent an excellent way to prevent further financial problems from occurring. However, irresponsible uses of payday loans can end up intensifying an already significant cycle of debt. If you are going to use payday loans and other forms of borrowing in a responsible way, you need to be able to take a long hard look at your finances. How much do you need to borrow to get by on, and is there a point where you have to consolidate your debt in order to simplify your payments? You can also look into ways of clearing your account and generating new savings by selling off some of your possessions, by cutting back on luxuries, and by taking on extra work. Pre-emptive measures can also be taken to prevent you from entering into a debt cycle; this involves making sure that you have a budget for the near and long term future, which can be helped by using mobile phone budgeting apps that can warn you if you’re exceeding your debt levels. Other approaches can involve making sure that you clear off debt from payday loans before it’s allowed to build up. When looking at potential loans, always check the terms and conditions offered, and make sure that you have a repayment plan in place. You can also make use of online services like SwiftMoney, which compares the market for the best payday loan for your needs, and provides detailed customer charters and other information that can help you to borrow responsibly. 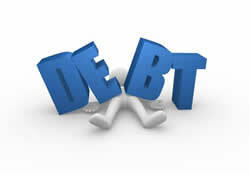 Moreover, if you are suffering from debt, you can seek help from bodies like Citizens Advice and the National Debtline.